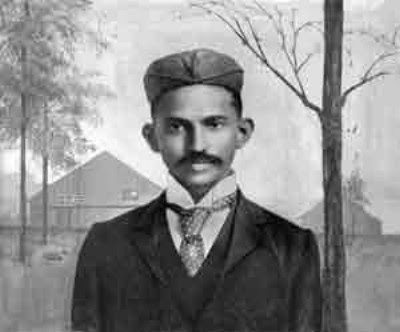 Mahatma Karamchand Gandhi was born on October 2, 1869 to a family of merchants in Porpbandar, India. 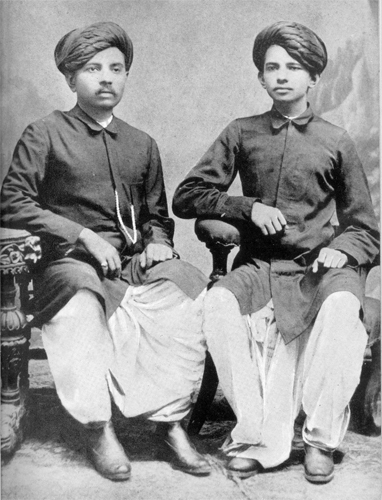 At the age of 19 he broke free of the existing caste system in India by moving to England where he studied law. Considered the father of the Indian independence movement, he is highly regarded as an enlightening force in our world. Please enjoy this "virtual visit" with one of the most influential men of modern history and philosophy. What better way to present the page than to so accompanied by his own words? 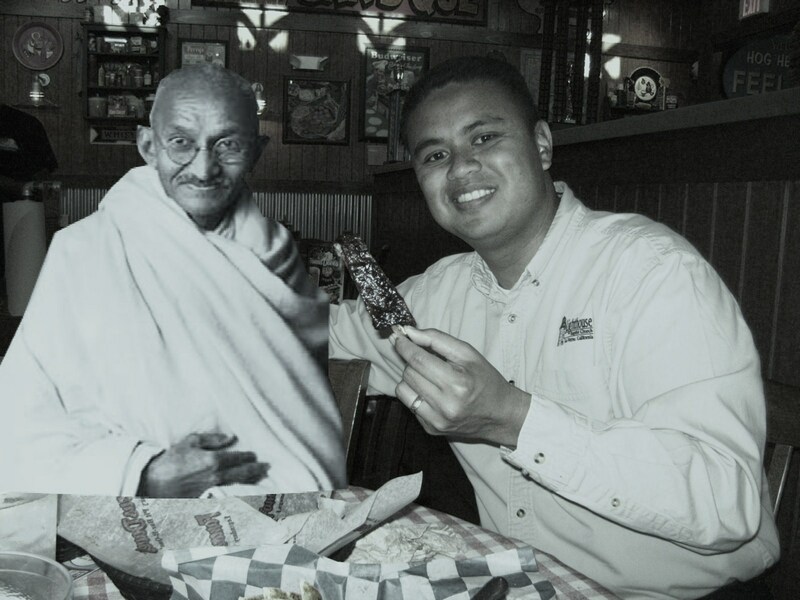 This picture was taken when Ghandi was arrested in a 1913 strike. 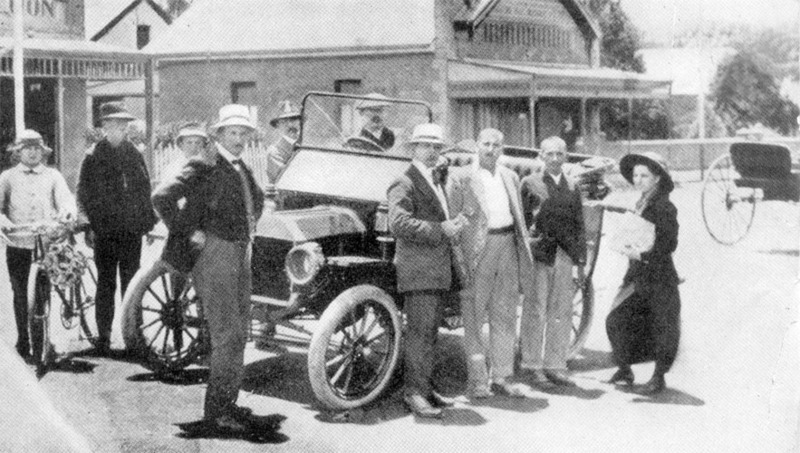 On his right are two of his co-workers, Mr. Kallenbach and Miss Schlesin. “Every moment of your life is infinitely creative and the universe is endlessly bountiful. 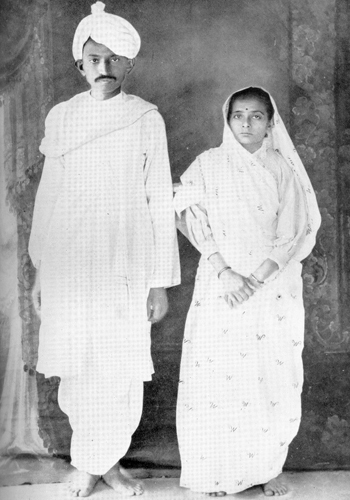 Mahatma Gandhi and his wife Kasturbai are pictured returning to India in January, 1915. “Prayer is not asking. It is a longing of the soul. It is daily admission of one's weakness. “There is a higher court than courts of justice and that is the court of conscience. 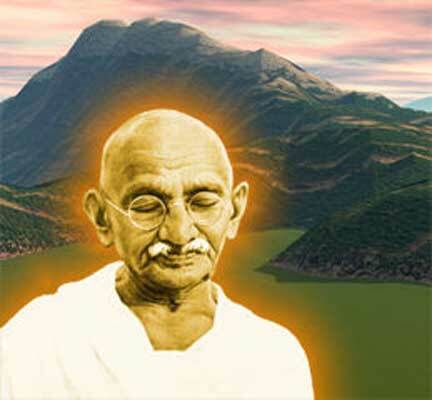 “Nonviolence is not a garment to be put on and off at will. “Love never claims, it ever gives; love never suffers, never resents, never revenges itself. “Each one has to find his peace from within. Sadly, Mahatma Gandhi was assassinated on January 30, 1948. Six previous attempts were made upon his life before he was taken from the world. 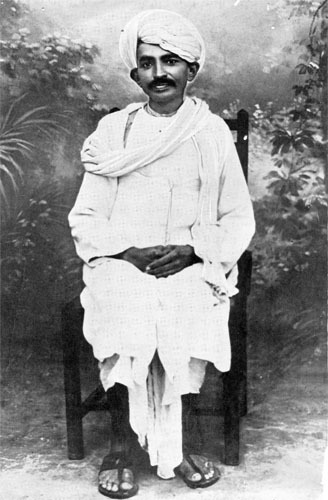 CLICK HERE to visit the Mahatma Gandhi site, where you can find a wealth of links for his work, his life, student projects, his philosophy plus a gallery of over 200 images of Gandhi and his family!